Feature photos: (L) Thomas J. JANSEN, was assigned to the U.S.S. 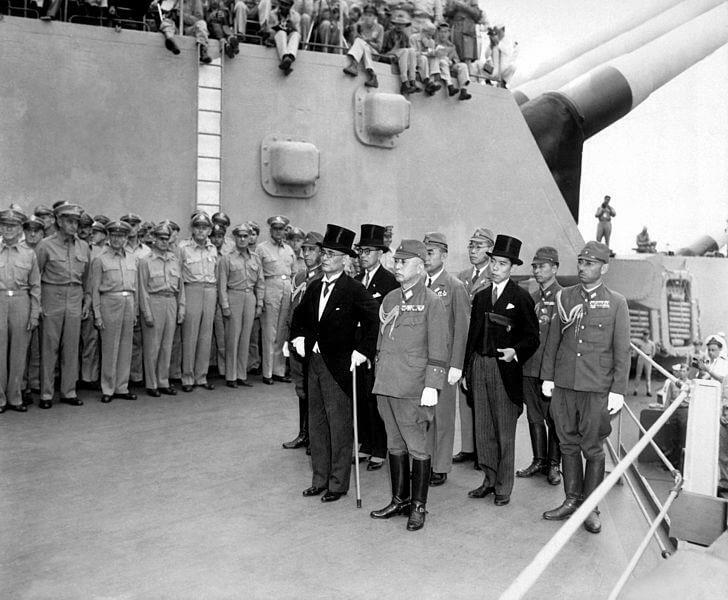 Missouri and was present for the surrendering of Japan. After WW II. (R) Tom Rozman, regular contributor to e-Veritas; short bio at the end of this article. In Canada and the United States, we encounter over our personal life careers people who by their example as a citizen provide an important form of leadership. These are perhaps the most influencing people and leaders by example on our own behavior and conduct. They are those who, though appearing as quite normal fellow travelers, by their conduct and demeanor set a high standard to emulate. In some of the most noteworthy cases the exemplar is not a person of overbearing personality but a non self-advertising person, often a family member, who by their actions cause us to reflect and model ourselves after their conduct. They become our valued benchmarks. Thomas J. Jansen was such a person. His life’s journey began in 1926 Cincinnati, Ohio when as a baby he joined the Harry and Elizabeth Sparks Bonekamp Jansen Family. The family would relocate to Corry, Pennsylvania a few years later and Tom would graduate from St. Edwards Catholic School in 1943. While still a teenager, he would attend Duquesne University for one year before enlisting in the United States Navy. His father would pass away early when he was a young boy and his mother would raise the family. After enlistment in the U. S. Navy Reserve on 13 November 1943 he completed 7 weeks of basic training (Boot camp) at the Naval Station in Sampson, New York. He then attended Service School at Wentworth Institute (Naval Training School), Boston, Massachusetts completing the course of instruction in engineering on 13 March 1944. He reported for duty until May as a Machinist Mate 3rd Class to the Battleship U.S.S. New York (BB 34). In May 1944 he was among the sailors selected to become the initial crew of a legendary and great warship. He reported as a Machinist Mate 2nd Class to the Brooklyn Navy Yard and the then new and fitting out Battleship U.S.S. 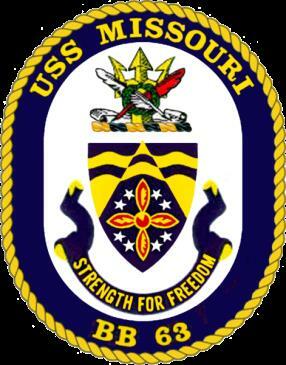 Missouri (BB 63). The U.S.S. Missouri was commissioned on 11 June 1944. Machinist Mate Jansen was a Plank, or founding, sailor on this great ship. 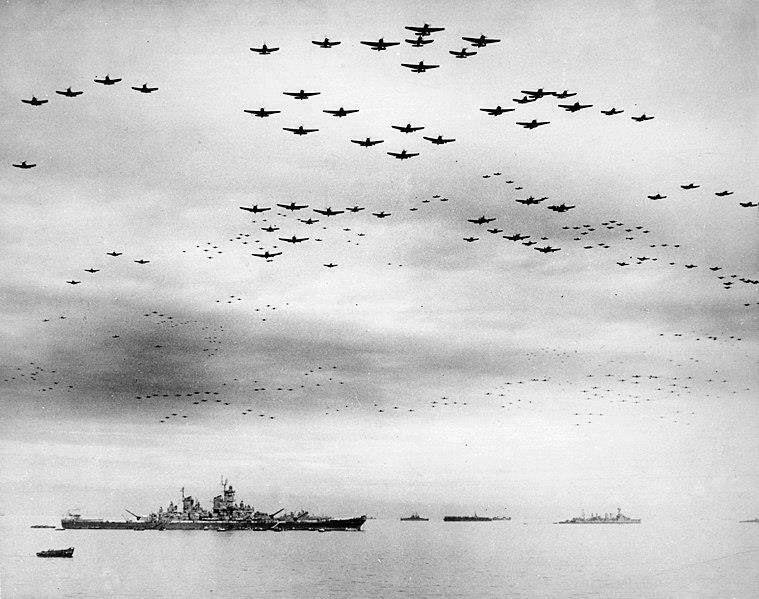 Shortly afterward the Missouri deployed to the Pacific and participated in the Iwo Jima (19 February-16 March 1945) Okinawa (17 March-30 June 1945) and first Tokyo strike operations. Ultimately the ship would become the stage for the unconditional surrender of the Imperial Japanese Government in Tokyo Bay. For his World War II service he was awarded the Asiatic Pacific Theater Medal with three bronze campaign stars, The American Campaign Medal and the WW II Victory Medal. Machinist Mate Jansen discharged from the active Navy on 3 June 1946 while on board the U.S.S. Missouri. He reentered the service with the Navy Reserve on 22 June 1948 and reported for duty aboard the heavy cruiser U.S.S. 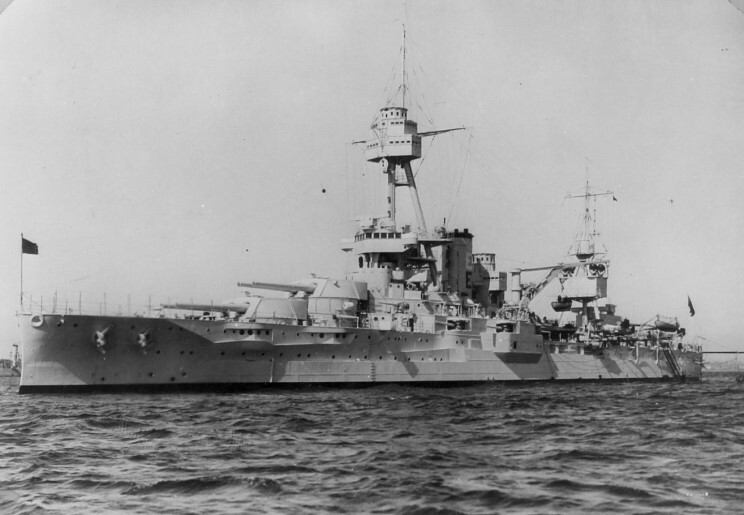 Rochester (CA 124) on 13 July 1948. He continued in this assignment through the remainder of 1948. Subsequently Tom Jansen discharged from the Navy Reserve to enter the Pennsylvania National Guard. On 22 June 1949 he received his federally recognized commission as a 2nd lieutenant in the Pennsylvania Army National Guard. Second Lieutenant Jansen was then assigned to the 112th Infantry Regiment, 28th Infantry Division then assigned to the 2nd Army. He was reporting for duty for the unit’s training assemblies at Camp Indiantown Gap, Pennsylvania. He obtained his discharge from the Army National Guard on 8 May 1950. Parallel and following his military service, Tom Jansen attended Gannon College in Erie, Pennsylvania where he graduated with a Bachelor’s of Science degree in pre-med. He then attended Florida State University in Tallahassee, Florida where he would graduate with a Master’s Degree in Social Work. He then pursued a career with the State of Florida. He rose to the position of Hearing Officer for the Florida Department of Children and Families, a magisterial role. Tom would also be active in his community, volunteering as president of the Temple Terrace Little League, serving in The Knight’s of Columbus rising to 4th Degree Knight, and attending and supporting St. Mary’s Catholic Church in Tampa, Florida. A widower, with his first wife he would raise four children. He remarried. On his departure in addition to his second wife and his four children and their spouses, he would be the grandfather to ten and great grandfather to eighteen. My experience with this very good man would develop shortly after he married my father’s sister Elizabeth or Betty. Over some thirty years of association I would come to greatly admire Tom as a citizen, community leader and member of our family. On more than one occasion he traveled the distance to support family events, my daughter’s wedding in Virginia being an example—it’s a long trip from Tampa, Florida to Virginia. A friendly engaging man, Tom was highly regarded by all in the very large families of which he was a part. On visits to his home, his house was your house. In a word, his unpretentious nature but substantial and accomplished life’s example gave all in the family a marker to measure themselves by. Most noteworthy in that example was his service to family, community, state, and nation. As a citizen, sailor and soldier, he served initially as a junior Navy enlisted man ending his seven year career of citizen military service as a commissioned infantry officer in The Army National Guard. He completed his advanced education and pursued a long and successful career as a public servant with the State of Florida. As well, he met his obligation to community and family as a successful husband, father and grandfather and volunteer. Tom Jansen provided a superb example of leadership by example. As a leader of note in his 90 years, Thomas J. Jansen, citizen, remains in the memory of his immediate and extended family and the people of his community, a life example as a citizen and leader to remember and emulate. 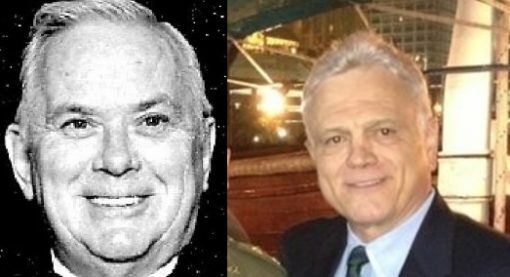 Tom Rozman graduated from the U.S. Military Academy, the University of Massachusetts Graduate Business School, and the U.S. Army Command and General Staff College. He served in the U.S. Army for 27 years with a last assignment as the director of the Collective Training Directorate, Office of the Deputy Chief of Staff for Training, U.S. Army Training and Doctrine Command. Tom then continued his career as a member of the Virginia Departments of Conservation and Recreation and Labor and Industry, retiring as a director in the latter. He served for three years on the Department of the Army Armored Family of Vehicles Task Force. He exercised instructor privileges at the University of Massachusetts, Western New England College, and Westfield State College for over three years as an assistant professor. He has published 45 articles in U.S. and foreign military journals and more than 30 manuals, papers, policy documents, and reviews. He has been a valued contributor to e-Veritas since the summer of 2016.